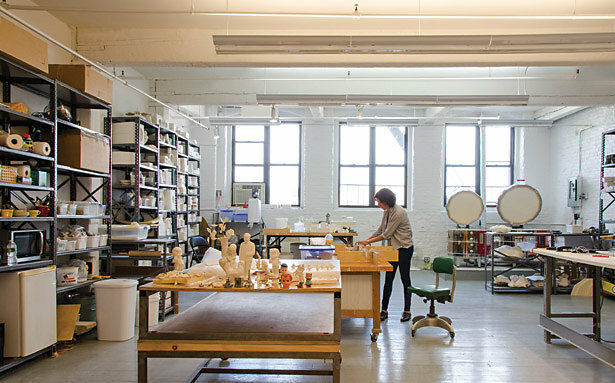 Beth Katleman's sculptures have been described by Ken Johnson in the New York Times as doll-sized rococo theaters of murder and domestic mayhem. Her ornate porcelain installations examine themes of consumption and desire. She is represented in many public and private collections in the U.S. and abroad, including the M.H. de Young Museum, San Francisco, CA, the Ci Kim Arario Gallery Collection, Seoul, South Korea, the John Michael Kohler Arts Center, Sheboygan, WI, Right Management, Philadelphia, PA and the Archie Bray Foundation, Helena, MT, among others. In 2013, Katleman recently completed large-scale commissions for Dior flagships London and Hong Kong. Katleman is the recipient of the 2011 Moet Hennessey Prize for the best decorative art object at PAD, New York, a Mid-Atlantic Arts Foundation grant, a Kohler Arts/Industry Fellowship, the Watershed Generation X Award, and a residency in Cortona, Italy sponsored by the University of Georgia, Athens. Her sculptures have been exhibited internationally in art fairs such as Art Miami, Design Miami, Design Miami/Basel, PAD Fairs in London, Paris and New York and museums including the Museum of Arts and Design, New York, the Contemporary Jewish Museum, San Francisco, and the M.L. de Young Museum, San Francisco among others. Katleman has garnered critical attention in La Tribune e Moi, Paris, The Art Newspaper, Basel, Grand Design Magazine, Shanghai, Cacao Magazine, Taiwan, and in the U.S. in New York Times, The Art Economist, American Ceramics, Ceramics Art and Perception and Sculpture Magazine, and numerous other publications. In 2013, Katleman was profiled by Nicole Swengley in The Financial Times How to Spend It Magazine. Her installations, Folly and Girls at War were the subjects of a full-color monograph by Todd Merrill in 2011. She holds a BA in English from Stanford University, an MFA from Cranbrook Academy of Art and an MBA in Arts Management from UCLA. Born in Park Forest, Illinois, Katleman lives and works in Brooklyn, New York.